PredatorPee® Yard Cover puts the power of PredatorPee® into a spreadable, granular form to help keep pests out of your yard. Predator urine granules are the perfect way to protect plants, lawn, shrubs and saplings against digging and burrowing pests. Also perfect to keep rodents, rabbits, squirrels, chipmunks, raccoons etc out of container plantings and raised beds. 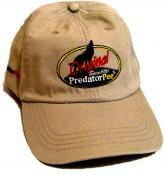 Each jar of PredatorPee® YardCover treats about 200 sq. ft. Choose yard animal repellents including wolf urine, coyote urine, bobcat urine, mountain lion urine, fox urine or bear urine in 16 oz. jars of PredatorPee® Yard Cover granules. Original PredatorPee® Mountain Lion Urine Yard Cover Shakin' Flake Granules – 16 oz jar. Each Jar covers about 200 sq ft – Perfect for burrowing and digging pests. Great for lawns, flower beds, gardens, container gardens, etc. - Big Savings when you buy multiples! Original PredatorPee® PorcupineStopper Yard Cover Shakin' Flake Granules – 16 oz jar. Each Jar covers about 200 sq ft – Perfect for chewing and digging porcupines. Great for crawlspaces under buildings, sheds, barns etc and for around base of trees. - Big Savings when you buy multiples!